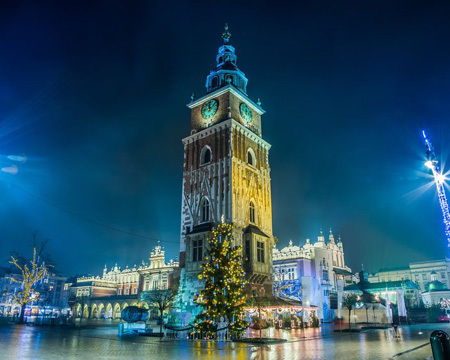 Spark your festive spirit at these glorious Christmas city breaks in Europe. From mystical Florence to classy Gothenburg, these winter escapes (paired up with the best historic hotels in each city) have Yuletide all wrapped up. 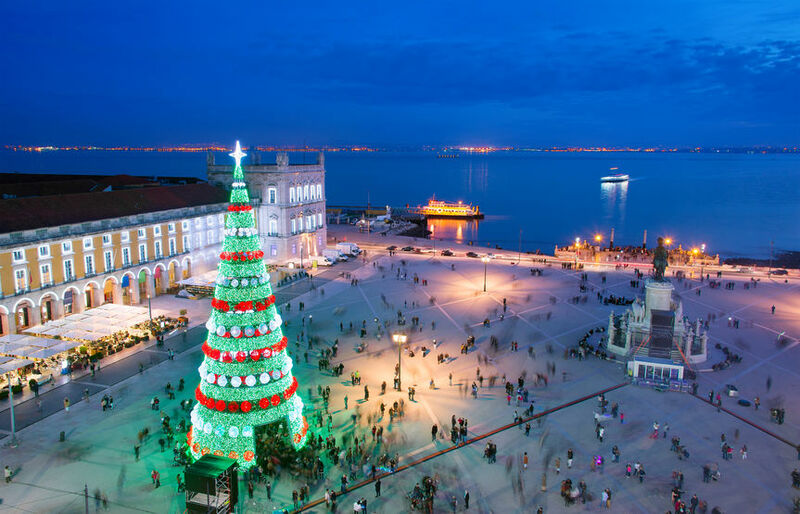 Frenzied all summer, Lisbon is a calmer sensation at Christmas. It smatters all the senses with the season; particularly the street vendors, who flood the city’s shopping streets in a smoky fog of roasted chestnuts. Follow your nose, hunting down custardy pastéis, cinnamon-infused espressos and all manner of belly-filling soups. Head to the Baixa area for Christmas markets you can’t miss, including Rossio and Praça do Município. Where to stay: What was once an art deco stunner designed by modernist architect Cassiano Branco, is still an art deco stunner – just fitted up with all your favourite modern luxuries. The chic, calming rooms of Hotel Britania are beautifully restored and whisk you right back the the glamour of the 1940s. With its fairground rides, wooden workshops and sparkling ice shows, Gothenburg looks like the sort of place you might see on a Christmas card. 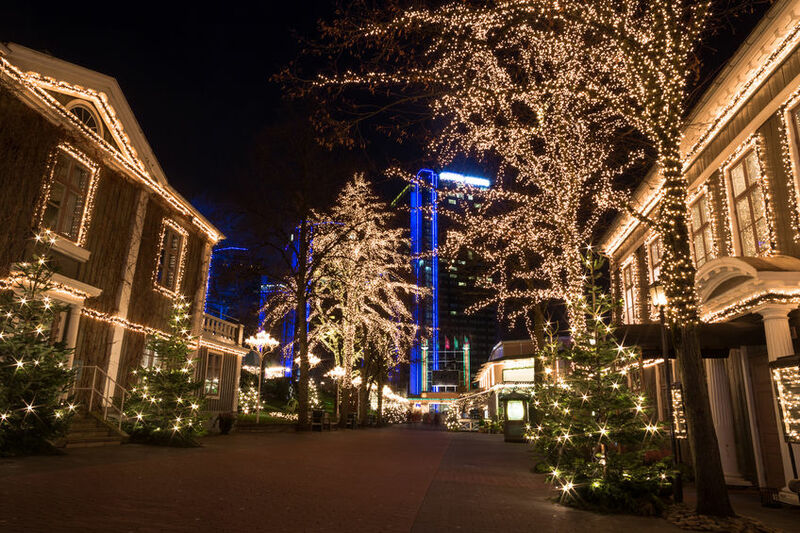 Liseberg, the most popular amusement park in Sweden, runs until December 30. There’s nothing quite like it: see Swan Lake performed on ice, find quirky gifts at the designer market and travel back in time in the medieval village. The unique experiences also extend to the grub – munch on everything from smoked reindeer to salty black liquorice, then have a glass of glögg to seal the deal. Where to stay: Naas Fabriker Hotell & Restaurant is one of the loveliest places to stay in Gothenburg. Set in a grand old cotton mill on Sävelången Lake, it blends magnificent design with gorgeous surroundings and wonderful hospitality. There’s a reason it’s known as the French ‘Capital of Christmas’: Strasbourgh is like stepping straight into a real-life nativity scene at this time of year. Wander through hundreds of traditional market stalls, gleefully spending your Euros on handmade wooden decorations and star-shaped praline biscuits. Where to stay: Refined, luxurious and dripping with history, Bouclier d’or is a 16th-century dream that still flaunts Renaissance columns, ancient frescoes and an immaculate spiral staircase. 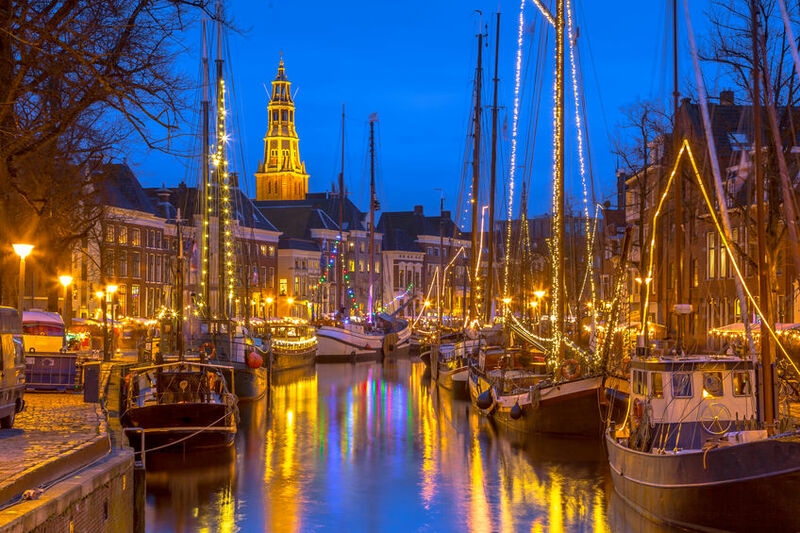 The amount of Christmas markets in Groningen is enough to make even the mightiest of Scrooges feel warm and fuzzy inside. Talking of Scrooge, there’s a Dickens Day in Beerta (Eastern Groningen) with around 100 stalls selling traditional crafts, hot chocolate and mulled wine galore. Where to stay: Its Renaissance garden has romantic nooks in every corner, but you’ll probably just want to snuggle up in your luxurious cloud-like bed at the incredible 15th-century Hotel Prinsenhof. Cork may well be the most illuminated city in Ireland this year. Glow Cork is a 12-day extravaganza, as locals team together to to create a warming wonderland with millions of twinkling lights. Ferris wheels, grand parades and dazzling Christmas markets will have you glowing with festive spirit, too. Where to stay: The plush rooms and grand restaurant at Blairs Cove House – all crystals, crisp sheets and candlelight – will whisk you straight back into the Georgian age. 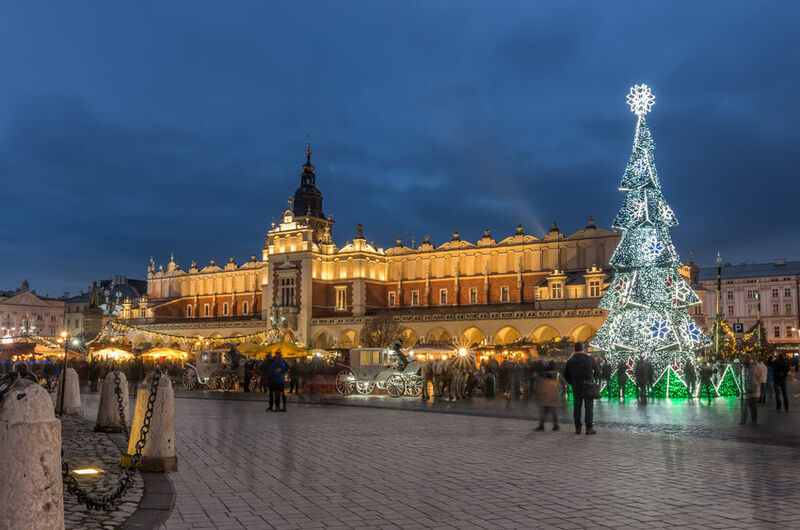 Wrocław may grab a lot of the limelight, but the beautiful city of Krakow, with its glorious Christmas trees and markets flogging glass baubles, village pottery and wooden sculptures, holds its own at winter. The festive shopping continues all the way until February, since Yuletide only officially begins on December 24 and continues until February 2. Where to stay: Escape the festive hullabaloo without having to travel very far at all. Sierakow Manor is just 20km south of Krakow, with crackling fires, an award-winning restaurant and a mystical four-hectare park. This buzzing Swiss destination sparkles at Christmas time. Markets crowd the city – none more grand than the one at Zurich’s main station, which is the largest covered market in Europe. Jaws hit the floor when the market’s centrepiece comes into view – a gigantic Christmas tree dripping with Swarovski crystals. For a quainter, more traditional experience, head to the delightful festive village at Sechseläutenplatz . Where to stay: In the heart of Zurich’s Christmassy old town is Marktgasse Hotel. It may have been round for six centuries, but this stunning boutique stay is bang up to date and ready to swaddle you in new-age luxury. Oslo brightens up the dark nights of December with it’s soul-warming, old-fashioned Norwegian Yuletide. Restaurants and shops have plenty of traditional festive foods to try, from pinnekjøtt (lamb ribs) to traditional Christmas cookies (look for krumkaker, berlinekrans or goro). Close to Oslo is Hadeland Glassverk – the perfect place to find handmade glass souvenirs and Christmas gifts made by local artisans. Where to stay: It’s almost like it was built for cosy Christmas getaways: Lysebu is an enchanting fairytale farm built in 1916, perched in the hills above Oslo. 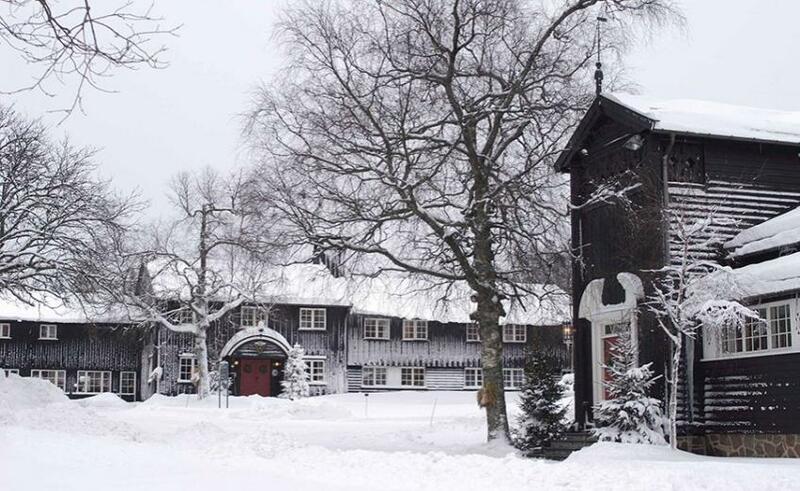 It’s Norwegian to the hilt, with traditional architecture, cross-country ski trails and immaculate local cuisine. When Brussels exists, Leuven may not be the first place that springs to mind when planning a seasonal escape. But the city certainly knows how to deck the halls in a way that’s lighter on tourists and much more local than its more popular counterpart. One of the oldest Christmas markets in Belgium (and certainly one of the cosiest), Leuven’s small yet diverse spectacle is an adorable way to spend a Christmas city break in Europe. Where to stay: For a festive hotel stay with plenty of charm, The Fourth is a beautiful respite from the harse winter chill. Named ‘The Fourth’ to reflect the building’s four-stage history (it’s been The Guilds, a theatre, a bank, and now a hotel), you can expect old-world grandeur blended with pure modern zest at this 15th-century gem. 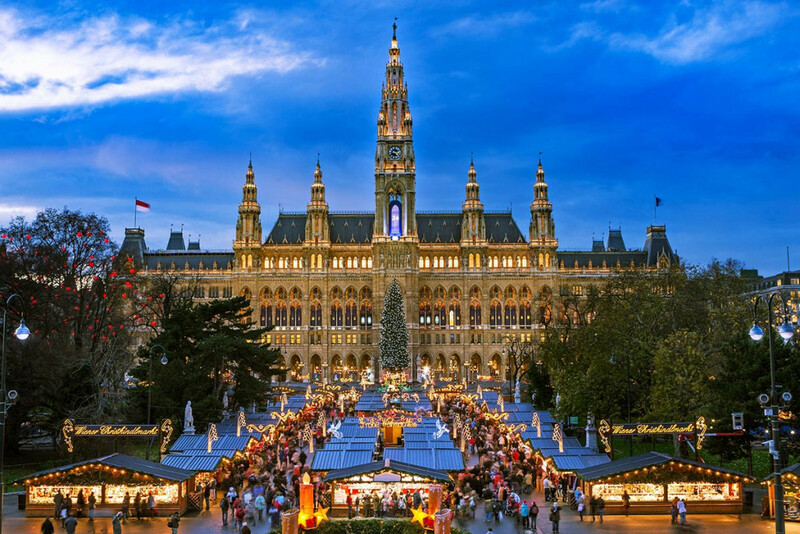 Locals love the nostalgic tingles they’re showered in while wandering Viennese Christmas markets. The wafting scent of cookies takes them back to grandma’s kitchen, as does the hearty goulash, flavour-crammed sausages and Lángos (Hungarian deep-fried dough). You’ll love it too – head to Karlsplatz right in front of St. Charles Church to experience one of the best Christmas markets in Austria. You won’t find tacky souvenirs here – just genuinely unique arts and crafts, warming mulled wine and even a place to build straw castles with the kids. Where to stay: The oldest hotel in the city is a chestnut’s throw away from all the best Christmas markets in Vienna. But location isn’t the only reason you’ll love staying here: Hotel Stefanie is a charming, authentic retreat from the chilling winter cold – wrapping you up in old-world guest rooms, lip-smacking wiener schnitzels and lashings of Viennese ‘Schmäh’. You’ll fall in love with presepe, the Italian nativity scenes that speckle the streets of Florence. But it’s not only pint-sized Marys, Josephs and baby Jesus’ you might bump into around the city – a live presepe is a unique performance where locals dress up and parade through town before posing in a human-sized stable. All this on top of local handicrafts, mulled wine and roasted chestnuts. If Florence doesn’t have you feeling festive, nothing will. Where to stay: Castello di Gargonza feels like a personal winter paradise. Far enough from Florence to escape the city, but close enough to make an ideal base, it’s a once-in-a-lifetime stay set in a fairytale fortified village. The astonishing hotel dates back to the 1300s, when Dante himself was once a guest. Expect authentic Tuscan cuisine, regional wines, roaring fires and immaculately restored guest rooms. 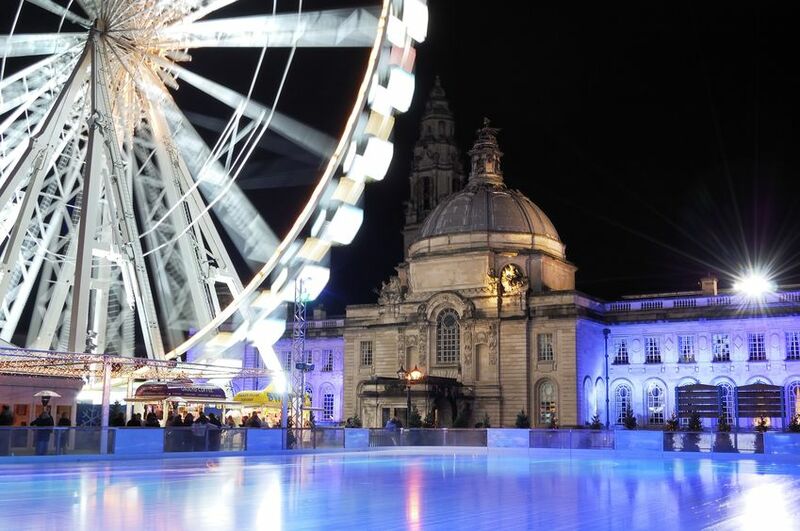 The Welsh capital takes the lead-up to the 25th seriously, with authentic wooden chalets, ice rinks and even a white-knuckle ride in its Winter Wonderland. Little ones can meet Santa Clause in the magical 13th-century Black Tower of Cardiff Castle, while adults can craft their own gorgeous Christmas decorations at a wreath-making workshop. Where to stay: With only 12 bedrooms, Holm House is like staying at your really cool, really rich friend’s home. Part-country house, part-townhouse; the boutique hotel and spa perfects playful and luxe without losing any personal touches. You won’t find any corporate vibes here, just freestanding copper baths, locally sourced food and eclectic rooms throughout.